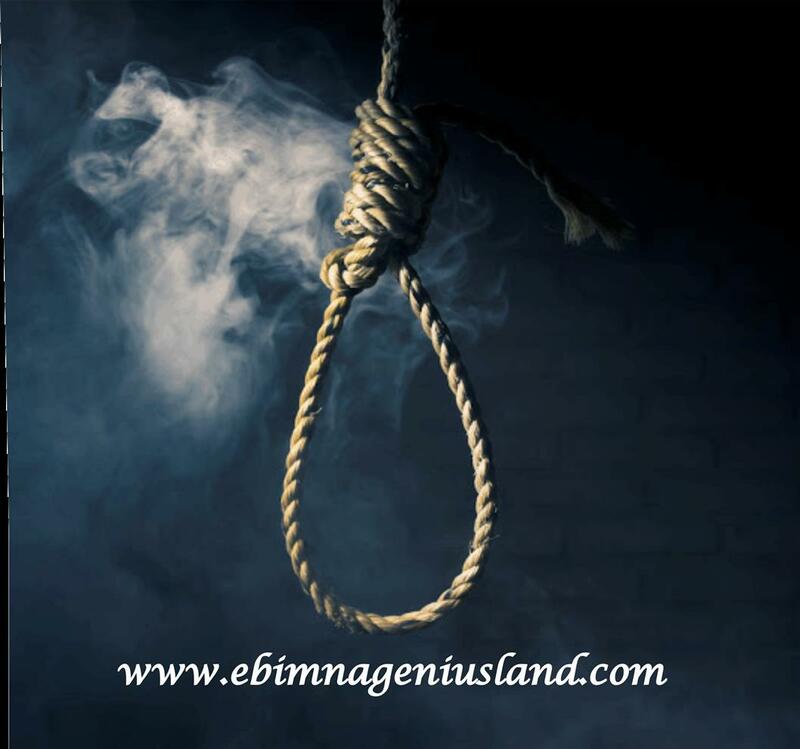 A Director in Lagos state ministry of youths committed suicide by hanging himself in his own apartment in Lagos state. The report says: Late Mr. Buraimoh lives in Unity Estate, Phase II Gbonagun in Abeokuta took his own life at about 3:58pm on Monday after few minutes of attending to his son by name Dotun, who was sick lying on his bed in his own room. While the young boy was narrating the incident that happened he said it all happened around 3:58pm after the father attended to him by giving him a drug to treat malaria. He says in tears: We were both at home, he entered my room and gave me drugs, as usual, then he left and I was thinking he has entered his room to rest, but after some minutes I didn't hear his voice, I thought he might be sleeping, I called him severally but no response. Then, I managed to get up from my bed to make sure he was sleeping or maybe he has gone out without telling me to come and lock the door as he used to, Surprisingly in tears and a big shout on my voice I found him hanging from the ceiling with a traditional Aso Oke tied to his neck and a stool with which he committed suicide, he said. Dotun continues: I summoned and alerted our neighbors some who heard my voice of shout which I never did before came on a rush to know what was happening, they told me to alert the police immediately, which I did. I also called my mom to come home immediately that something happened in our house, which she left her work place with no permission and arrived to see the shock. According to the wife of the LAte Mr. Oludare Braimoh the deceased, She said: I don't know what came over him after all this while that we have been suffering for survival, through thick and thin challenges, and it's now that we ought to sit down to enjoy our past years of toiling and boiling in hardship, he decided to take his life without saying any last word to me. He never showed any sign of depression at the time committed suicide, even at the time he gave our son drug. The incident was reported to Obantoko Police Station, and it was reported back and confirmed that the suicide through DSP Rasheed Olaleye of that station has declined to give further comments and information, commenting that the DPO will be in best position to handle the case. The body of the deceased has been taken to General Hospital Abeokuta, which will be released after clearance from the police, while the family will be taken care of for the mean time, till it will be confirmed that he wasn' forced by anybody or anything to hung himself in his room.